The weather is still unusually cold in the north. In Newfoundland, they woke up to a foot of snow. In Iceland, they just had the coldest day in 100 years. It has long been understood that to create an Ice Age, the artic actually should be ice-free. 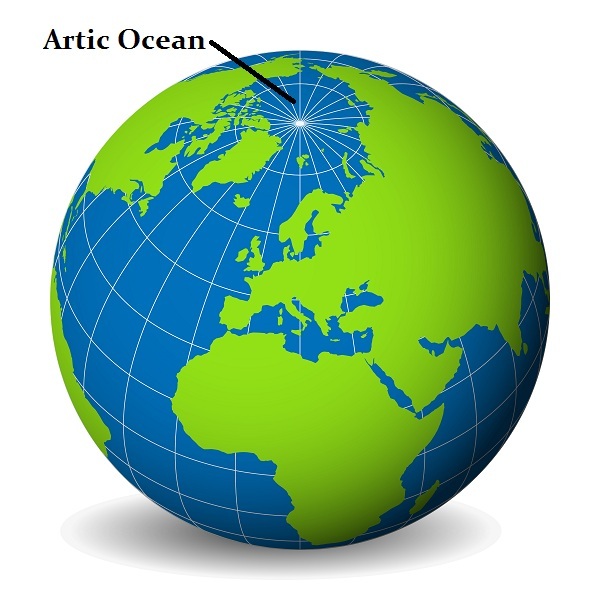 The Arctic Ocean is the smallest and shallowest of the world’s five major oceans. We have been warning that our models projected that the energy output of the sun would drop into the end of this Economic Confidence Model wave 2032. This has now been confirmed as the energy output has turned down sharply since 2015. 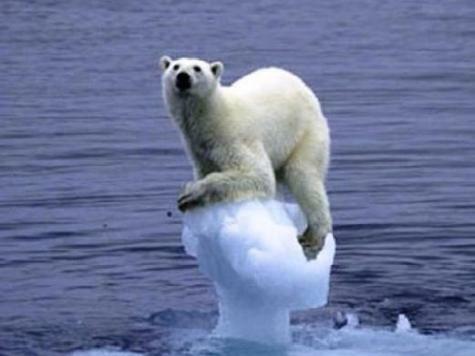 Here is the picture that started the whole Global Warming propaganda. Yet they pretend that if the Arctic Ocean melted the sea levels would rise and flood places even like Miami. However, the Arctic Ocean has been free of ice historically many times. The passage through the ice has historically come and gone. The first to actually sail through the water was the Norwegian explorer Roald Amundsen’s ship which traveled East to West between 1903 and 1906. This idea that the Arctic Ocean is always frozen over is simply not correct. There are two routes known as the northern and southern routes of the Northwest Passage which have been open during occasional years in the past. According to records from Environment Canada, the southern route was “open” (no more than 60% ice covered) occasionally as far back as the 1970s, and the northern route was open in the summer of 1998. The northern route has since roughly 2007 has begun to open again. The northern route was open in 2007, 2008, 2010, 2011 (which was a record-low ice year), 2012, 2015, and now, into 2016 as well. While the alarmists are yelling, they also do not understand the history or the dynamics of an ice age. The real experts on the oceans and how they function were at the Lamont-Doherty Earth Observatory at Columbia University. It was in 1956 when they published A theory of ice ages by Maurice Ewing and William Donn. They were the most influential oceanographers to date, yet the Global Warming people have completely ignored their work and bastardized it for political gain. The core of what they unveiled was that if the Arctic Ocean would get warmer and the ice melted, this would signal an Ice Age, not the sinking of coastal cities. A warmer Arctic Ocean would mean that water would flow more freely between it and the Atlantic, dissipating the cold making the Atlantic colder. There is the key to an Ice Age. If all the ice melted in the Arctic Ocean leaving open water that was then warmer by mixing with the Atlantic, then a warmer Arctic Ocean surrounded by colder land around it would produce evaporation and that water would then return back to the land as snow. More snow that falls in Greenland and Northern Canada is what makes glaciers grow deeper. When the Arctic Ocean is covered in ice, then there is NO EVAPORATION and thus we do not move into an Ice Age. We do know that the Vikings made it to Canada sailing in wooden ships over an open sea. The ancient chronicles of the Vikings told a story of a Viking warrior who was banished from his home for killing another man. He sailed with hundreds of followers to an icy island in the sea. 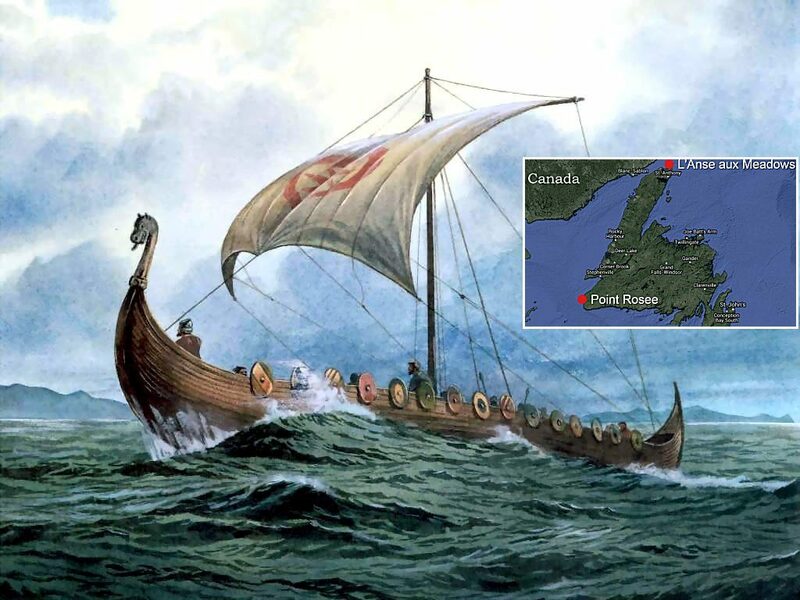 As the stories went, his son set out a few years later and traveled to an even more distant place he knew as “Vinland” which historians today believe was the East coasts of Canada. There have been discoveries at a verified Norse historical site in the New World which was the 1000-year-old seaside settlement L’Anse aux Meadows on the northernmost tip of Newfoundland. We have actually a contest for the title of who discovered America first. Roman artifacts have been discovered also in Canada. This clearly establishes that the ancient Romans sailed across the Atlantic long before Columbus or the Vikings. This discovery in Canada has created a storm for it rewrites history. The unquestionable discovery of a Roman sword in Canada is rather stark evidence that history is different from what academics believed. The Romans even sent diplomats to the Emperor of China. Roman coins have been discovered in a castle in Japan. However, the only scepter of a Roman Emperor to have survived is that of Maxentius (306-312AD). The Romans and Greeks knew the world was round and not flat as they believed during the middle ages. This scepter shows the world as round at its top. Therefore, the Romans would not have feared sailing west around the world. They also knew that is where the spices came from along with dyes and silk. What we do know is this. The theories of Global Warming are linear and simply portray that all the ice will melt then coastal cities will sink. They have completely failed to deal with history or the theory of how the ocean system even works. Melt the ice and you will produce colder storms and more snow that will build the glaciers and create an Ice Age – not new warm beach fronts for Las Vegas. « The New Madrid Fault – What is It Due?